Most WordPress themes usually show the date when a post was published. However, WordPress also gives you the power to display the last updated date of your posts. This feature is crucial for websites where old articles need to be updated regularly. The most common example here can be news websites. They often have to update the old stories to show new developments, add corrections, or media files to let their users know about the latest updates on certain news. If only added the published date, their users would miss those updates. 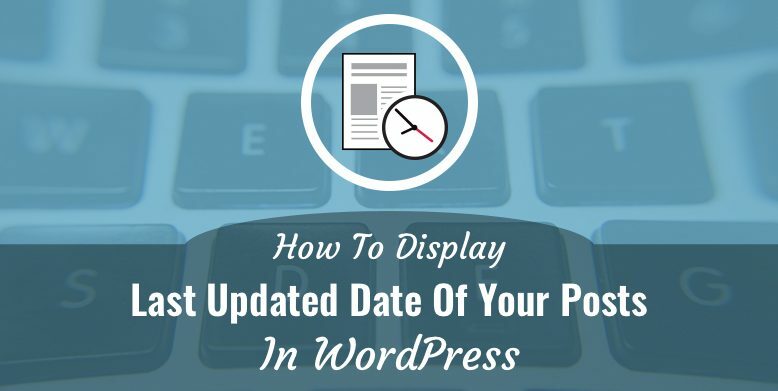 Now, let’s see how you can easily display the last updated date of your posts in WordPress. As said earlier, this will require you to add code to your WordPress files. 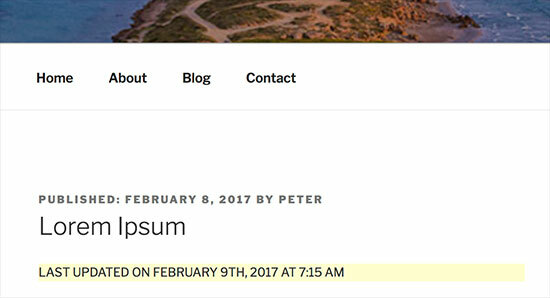 You can display the last updated date of your posts in WordPress in two ways. One is showing last updated date before Post Content and another is adding last updated date in Theme Templates. Now, let’s check out these methods in detail. You will have to add the following code to your theme’s funtions.php file or a site specific plugin in this method. The code will check if a post’s published date and last modified dates are different. And if they are, then it will display the last modified date before the post content. In this method, you will have to edit specific WordPress theme files. Many WordPress themes now use their own template tags which define how these themes show post meta data like date and time. Some themes also use content templates or template parts to display posts. You need to look for the code responsible for displaying the date and time. Then, you can either replace that code with the following code, or add it right after your theme’s date and time code. That’s all there is. All you need to do is add code to your website and you will be able to display the last updated date of your posts in WordPress easily. Have anything to add, share or ask? Drop your comments below.